Global Nexus plans to build our own submarine network in a multi-phased deployment, with work on first network segments (connecting Nassau to Boca Raton, US and Halifax, Canada). 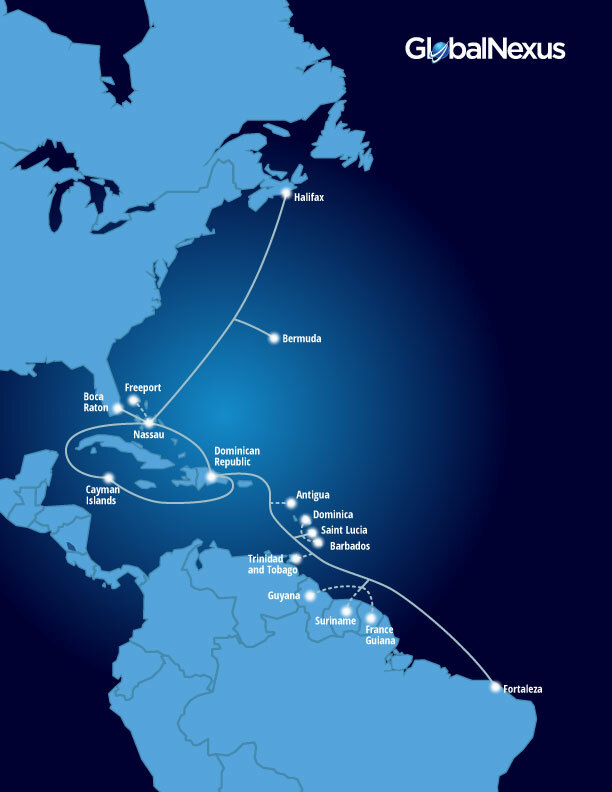 This first phase will provide high capacity, single-hop connectivity between the Caribbean, Canada and the US. When complete, the overall network will bring much needed terabit-speed capacity to the region, along with important new routes, enabling customers to direct traffic either through or straight past the US mainland.